Concrete project this week, in between anchor jobs! 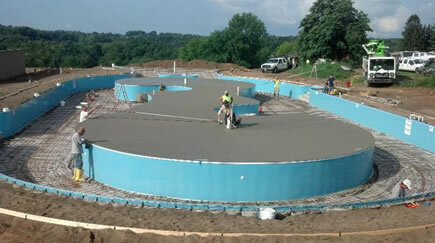 This pool was a 2 day project for Yoder Laser Concrete. Call us for your next detailed project. Get great quality at an affordable price! What jobs are Yoder Laser Concrete specializing in? Do you need a Concrete Contractor? Do you need a Concrete Contractor? With over 20 years experience Yoder Laser Concrete has the expertise to accurately bid on your next project! Contact us or request a free quote today! We will offer a 20% discount if we can fit you in between our large pours! Concrete vs. Shotcrete, What’s the Difference?